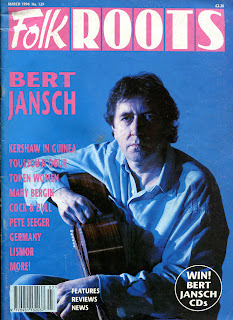 Bert Jansch (1943 - 2011), the Scottish guitarist known for his work with The Pentangle and also for his standout work as a single performer, was generally acknowledged as one of the major figures in folk music during his lifetime. 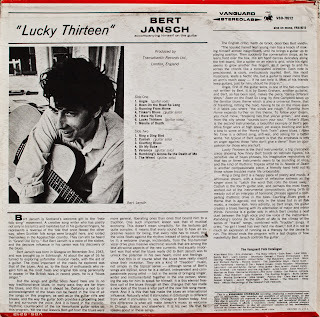 His rich style was derived from varied sources, but the fundamental integrity of his own talent always was uppermost in his music. 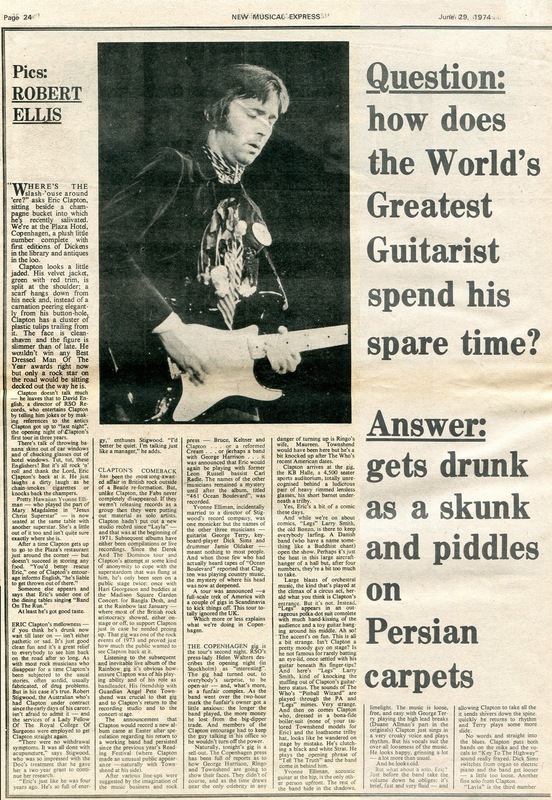 In both his performances and his recordings, he gave the frequent and unmistakable impression that he played the guitar not merely for money or to dazzle his listeners, but mainly for the pure and private joy that it brought to him. 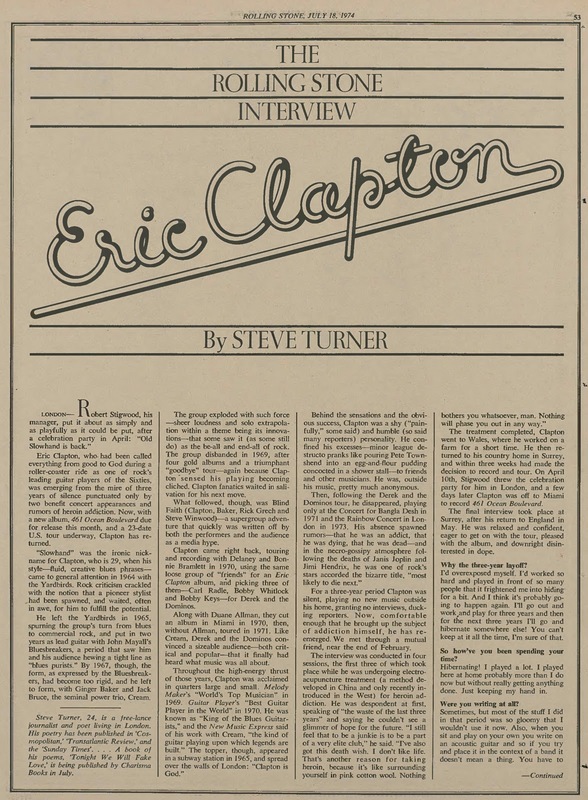 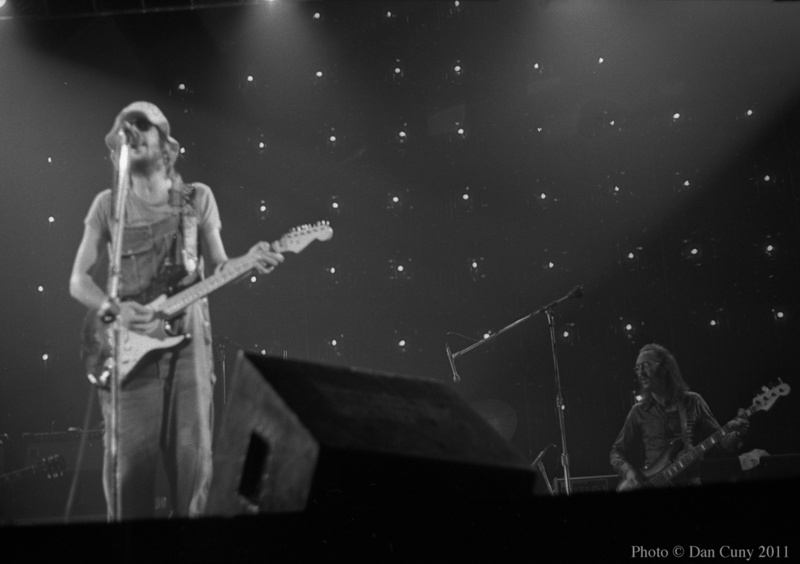 Although he wore his fame lightly and never displayed any interest in being a superstar, his musical reputation carried a serous weight. 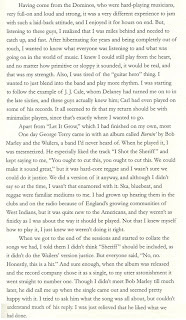 From Donovan (who wrote two songs in honor of him, "Bert's Blues" and "House of Jansch") to Jimmy Page (who transformed Bert's rendering of "Blackwaterside" into "Black Mountain Side," a track on the first album by Led Zeppelin) to Johnny Marr (who described him as "an incredible musician, totally uncompromising as a person and as an artist"), well-known guitarists of several generations praised his deft touch on the strings and dutifully looked to him for guidance. 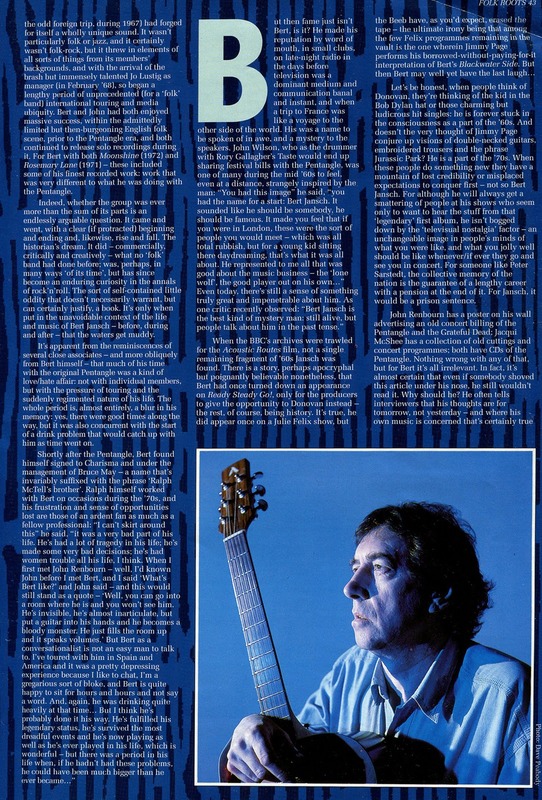 Over more than four decades, his forthright music came to represent a studious honesty that stood on its own. 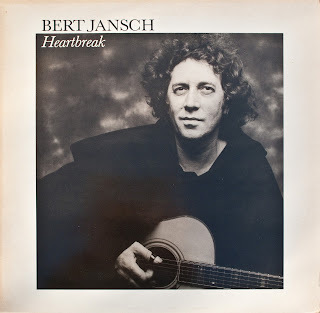 Bert Jansch was born in Glasgow and grew up in Edinburgh. 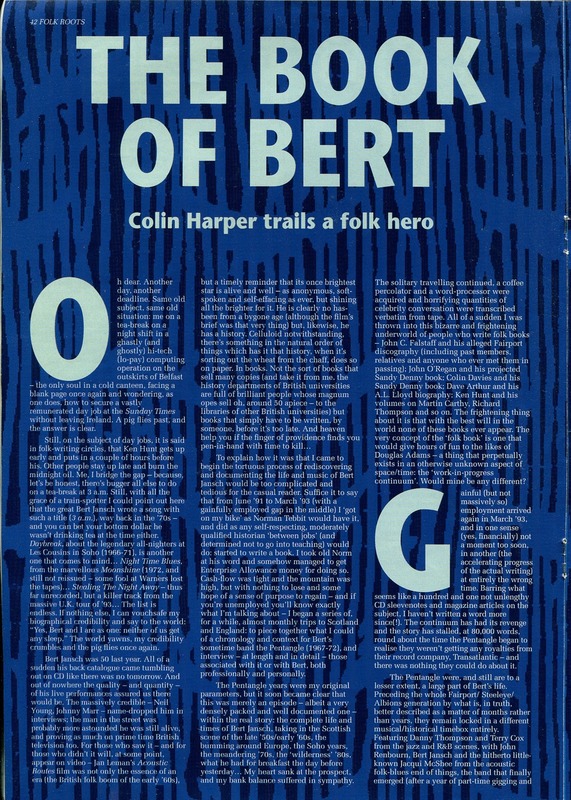 He took up the guitar as a teenager, learning quickly and steeping himself in the venerable traditions of folk music, and established a close friendship with another Scottish musician, Robin Williamson, who later founded The Incredible String Band. 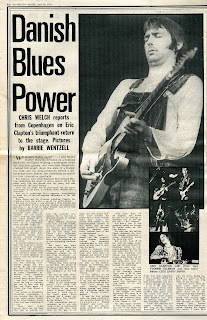 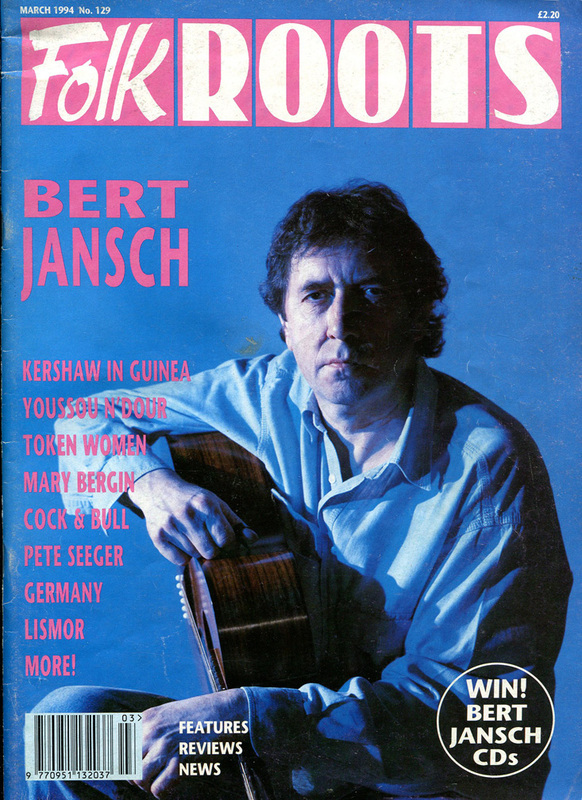 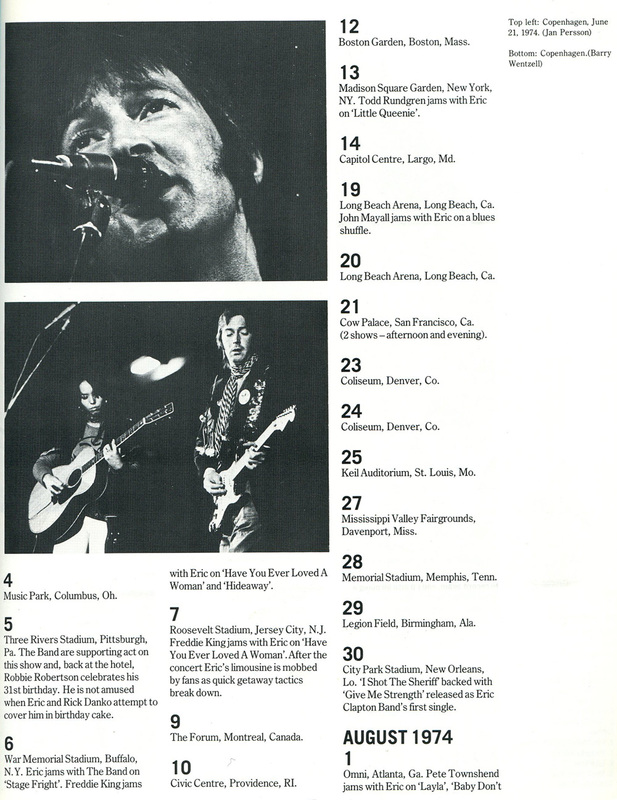 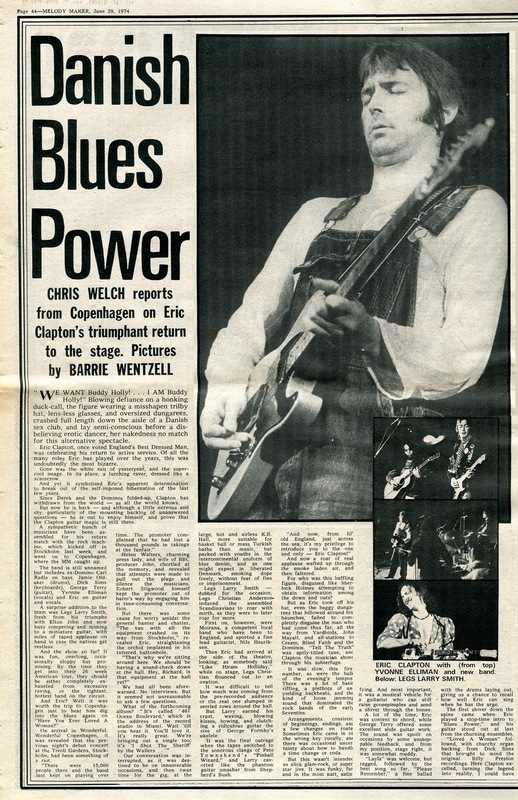 In the early 1960s, Bert Jansch began to perform in clubs throughout the United Kingdom. He also became friendly with a singer from Nottinghamshire, Anne Briggs, who acquainted him with folk songs that had a strong effect on his musical direction. 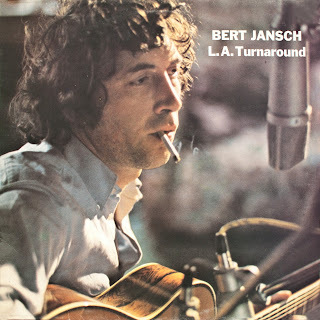 His first two albums, Bert Jansch and It Don't Bother Me, were released in 1965. 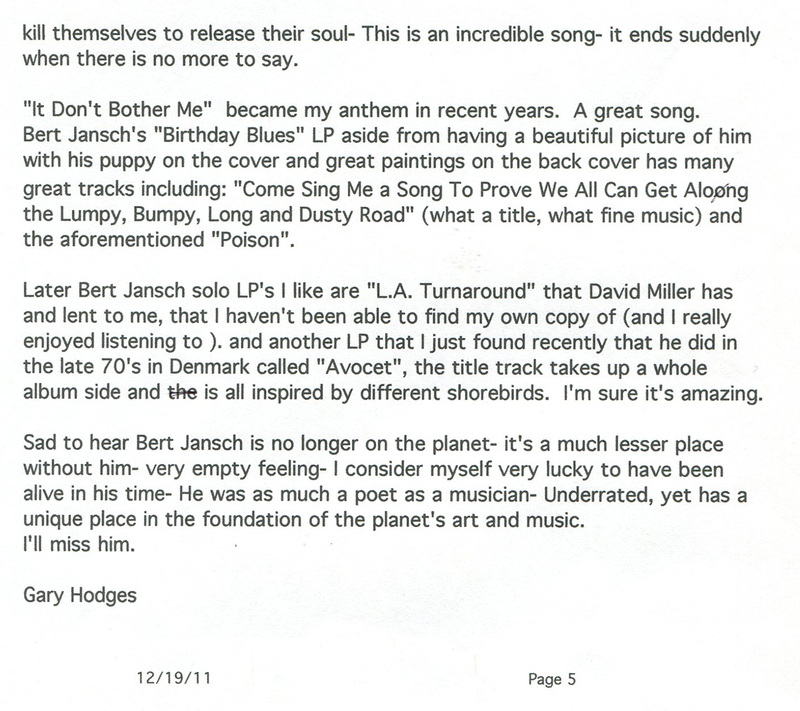 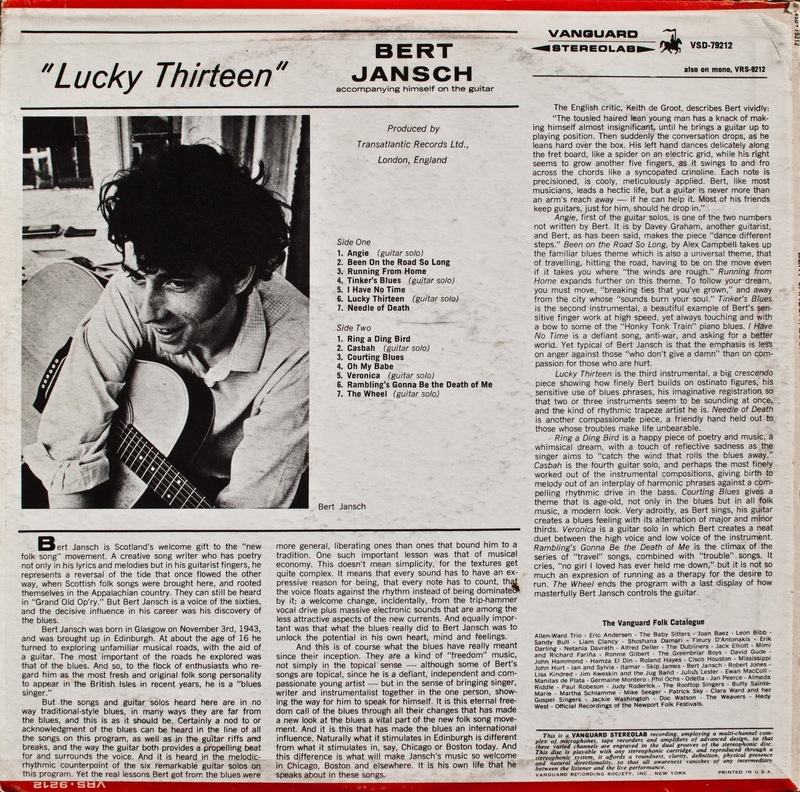 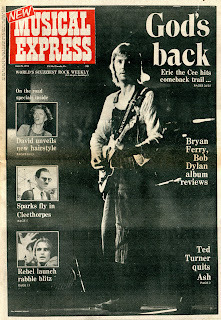 Bert Jansch included one of his most famous compositions, "Needle of Death," a song that he wrote after one of his friends was killed by an overdose of heroin. 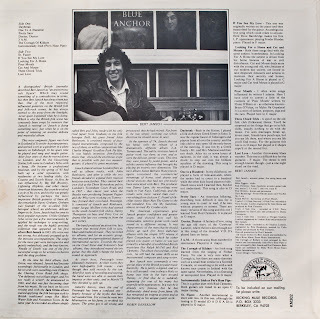 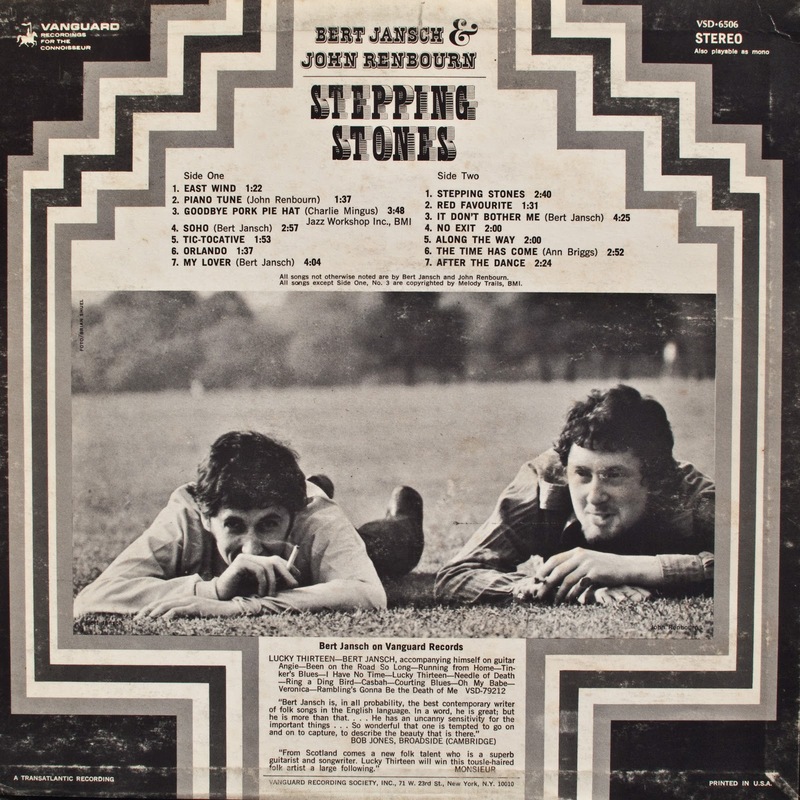 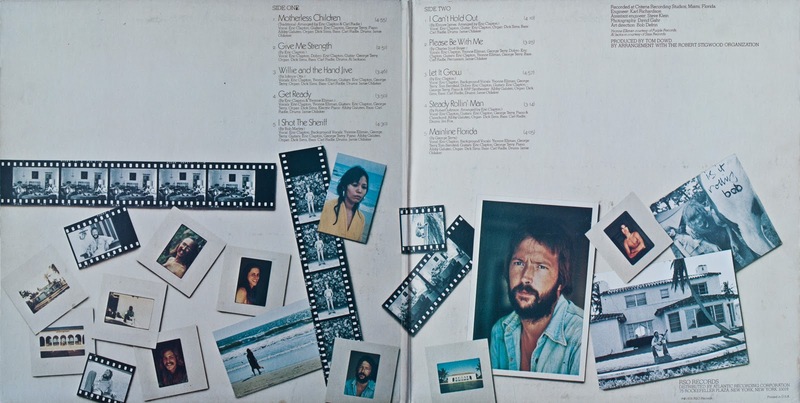 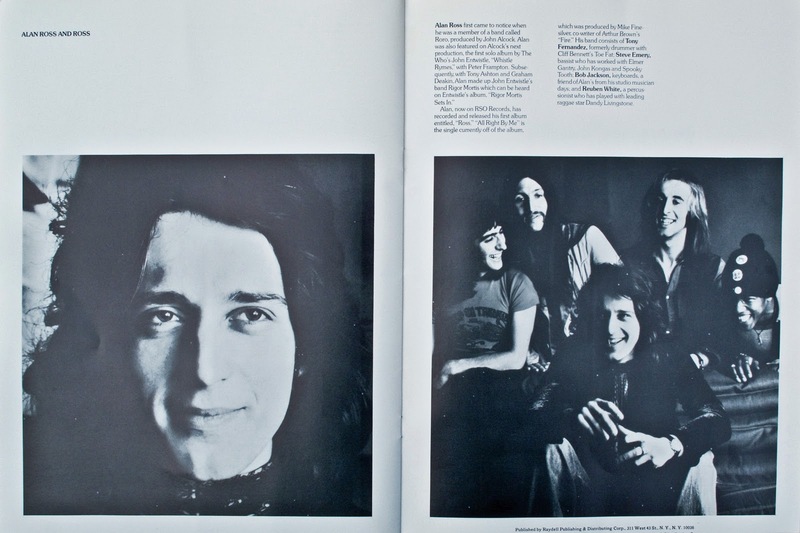 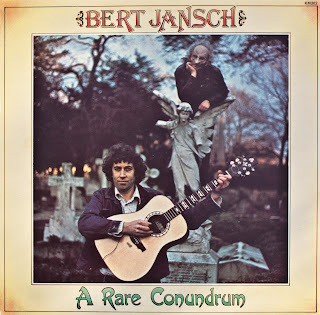 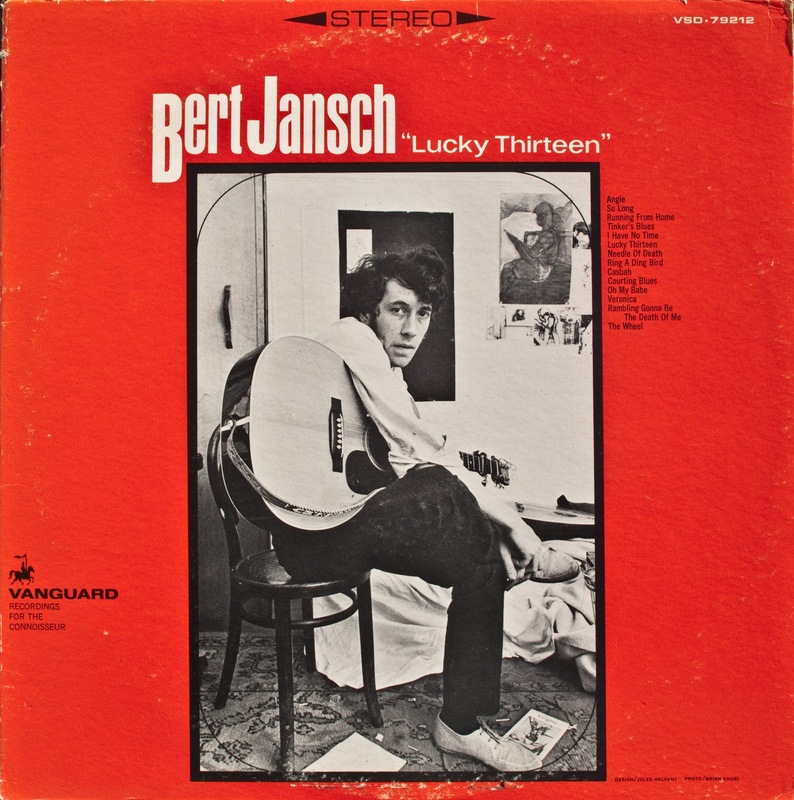 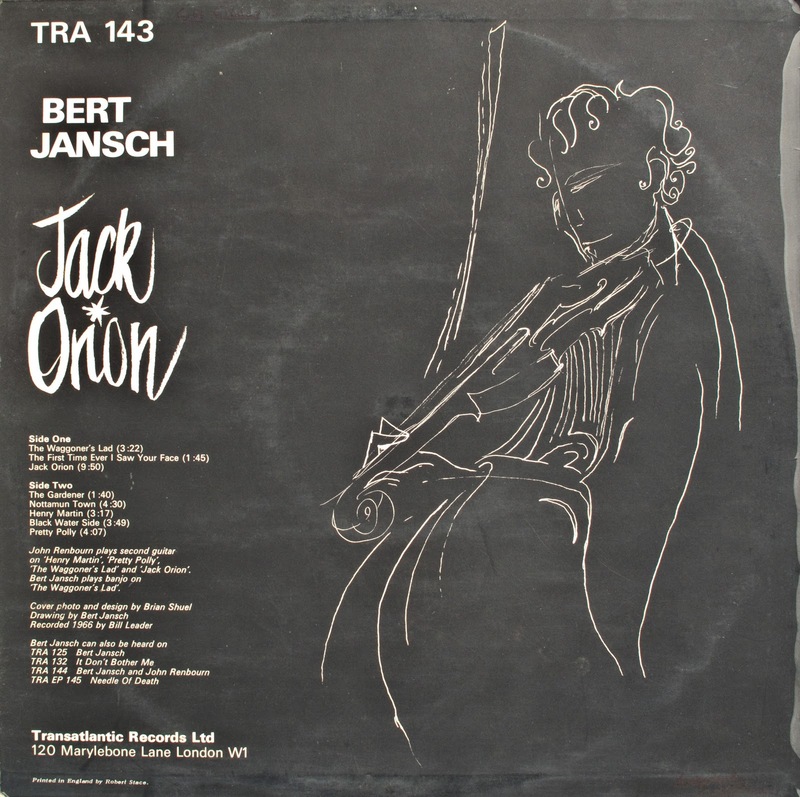 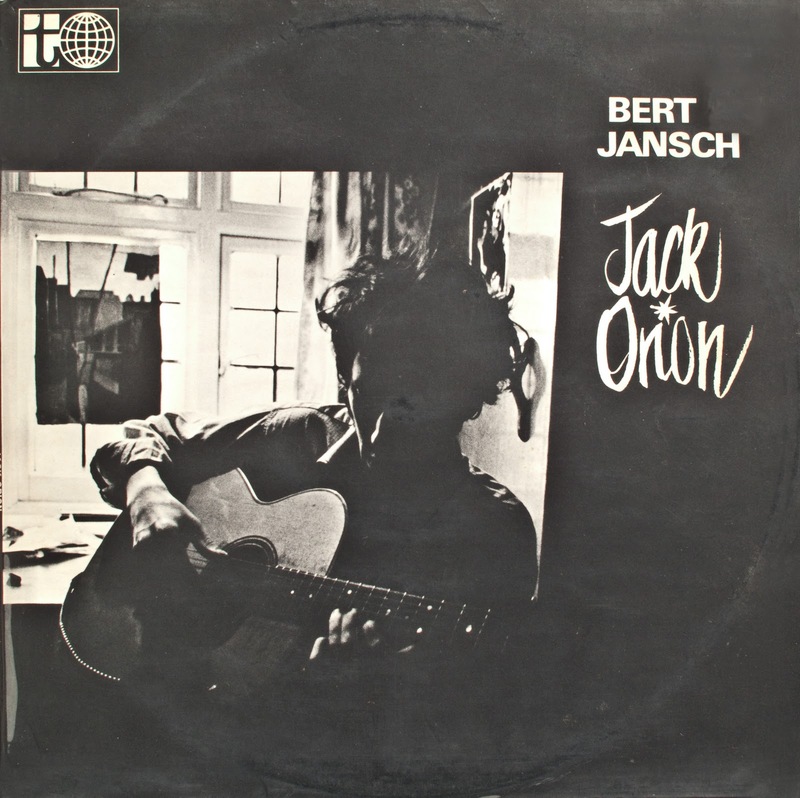 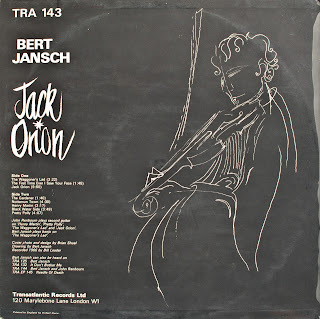 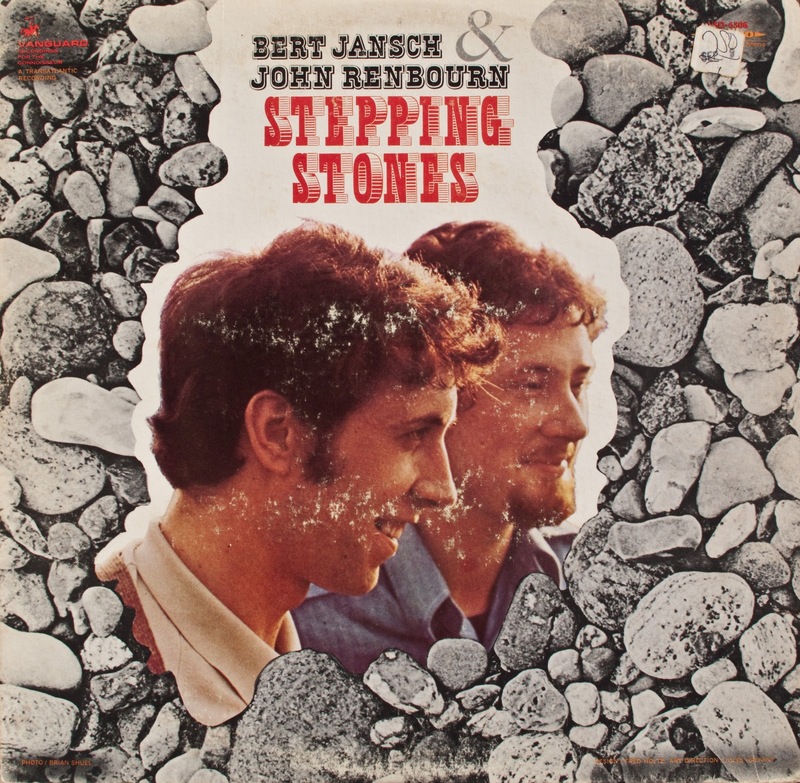 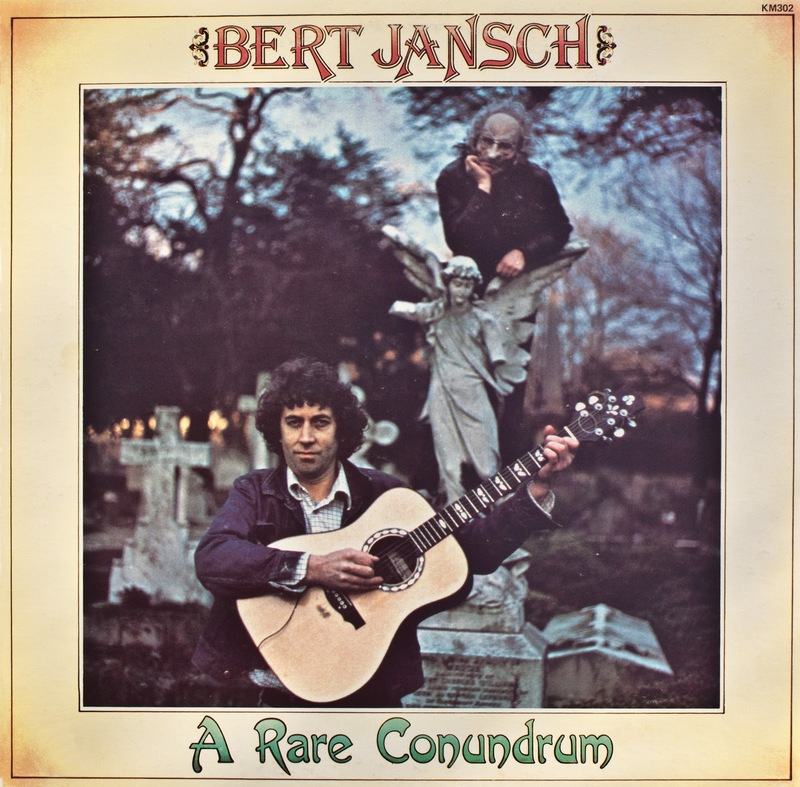 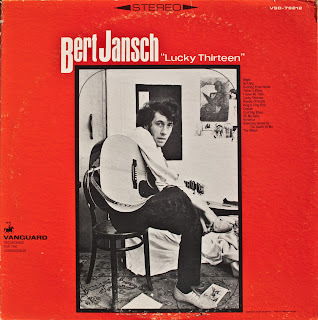 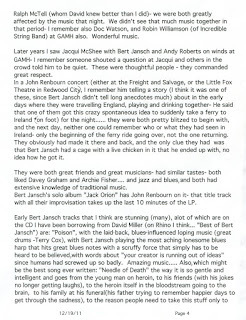 In 1966, Bert Jansch recorded Jack Orion, his third album, and Bert and John, an album that featured him playing his guitar alongside John Renbourn, an English guitarist. 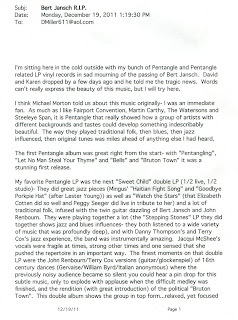 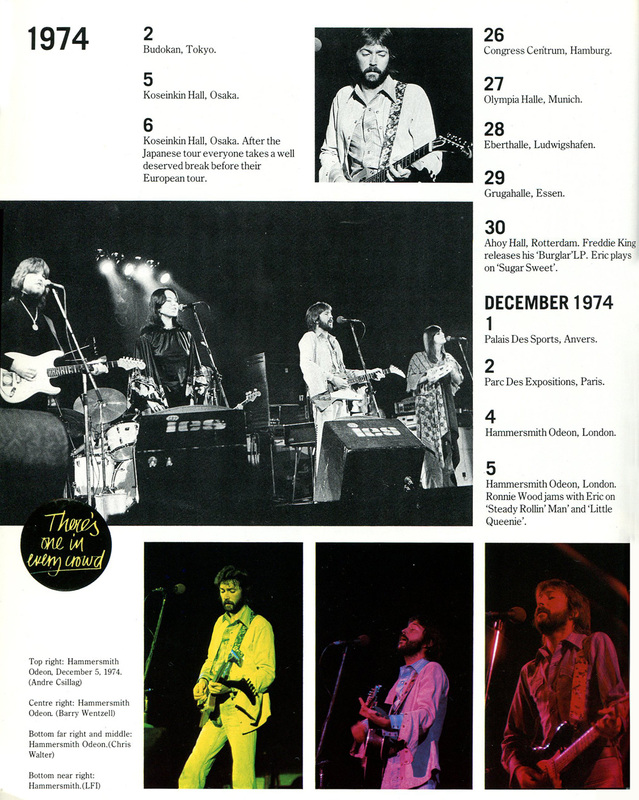 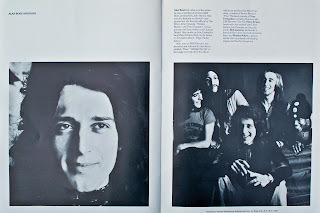 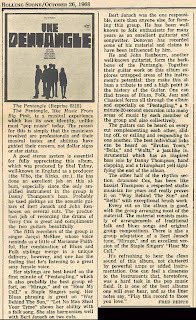 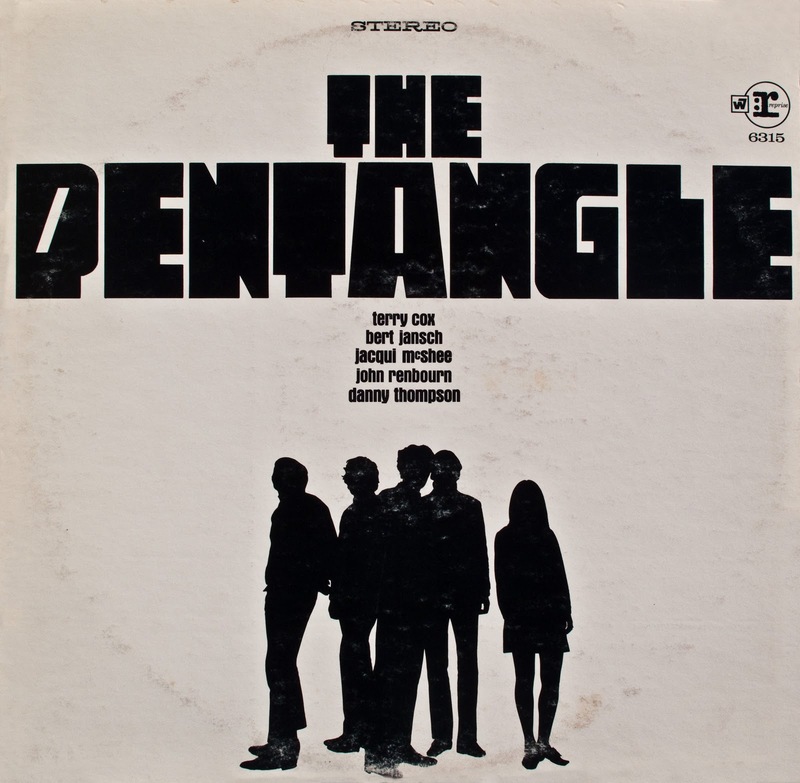 Shortly after, the two guitarists joined with Jacqui McShee (vocals), Danny Thompson (double bass), and Terry Cox (drums) to form The Pentangle. 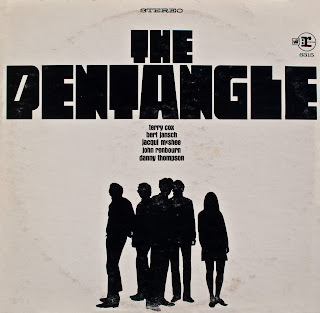 In May of 1967, The Pentangle made their first appearance in public at the Royal Festival Hall in London. 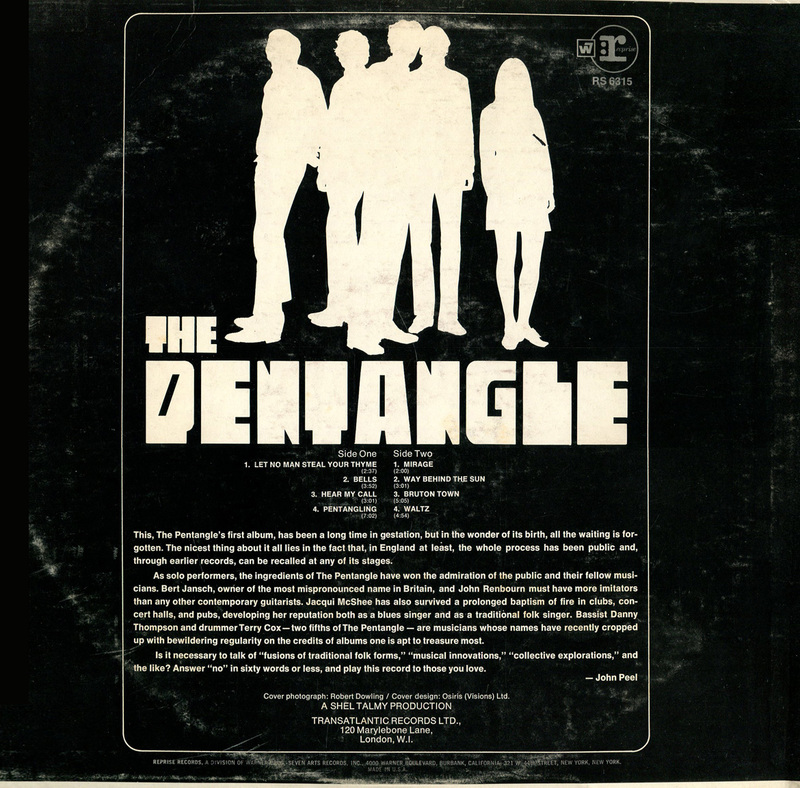 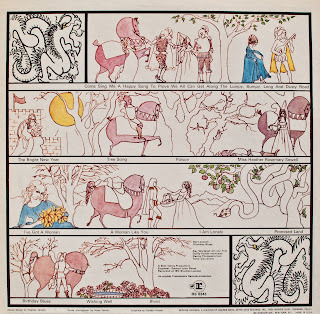 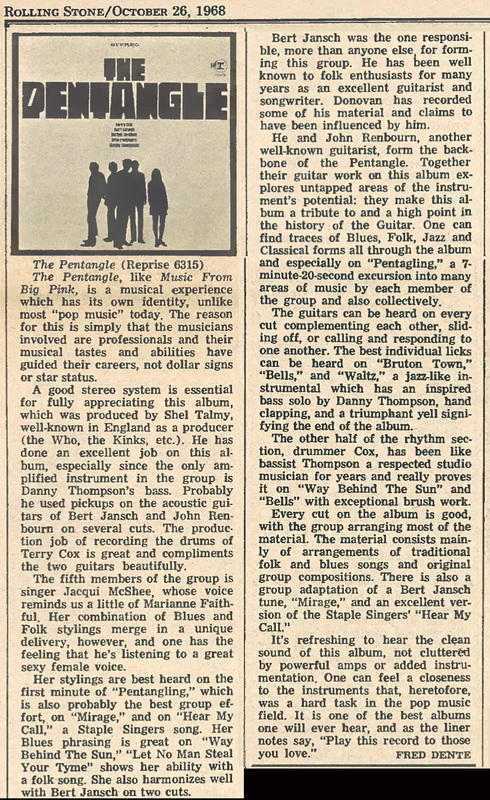 Their first album, The Pentangle, was released in 1968, and featured a heady mixture of diverse elements, with the guitar and voice of Bert Jansch providing repeated highlights. 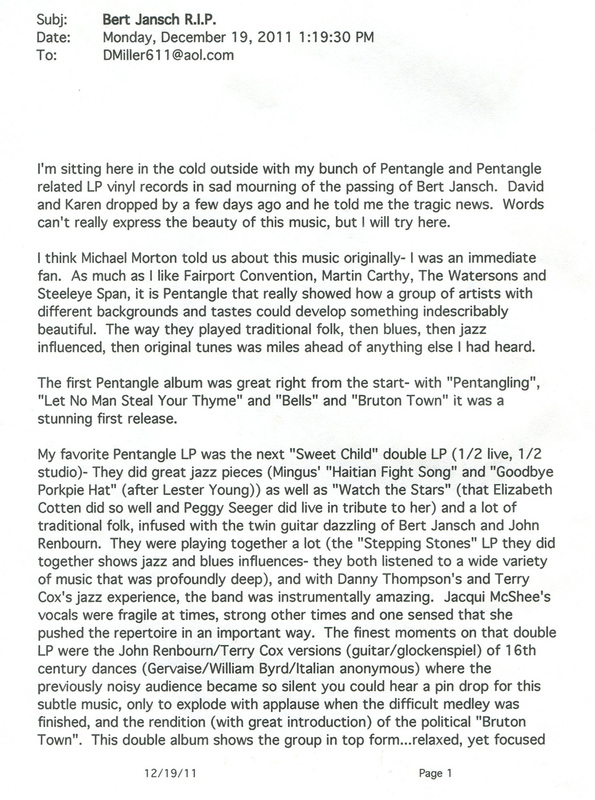 The Pentangle was followed by Sweet Child (1968), Basket of Light (1969), Cruel Sister (1970), Reflection (1971), and Solomon's Seal (1972). 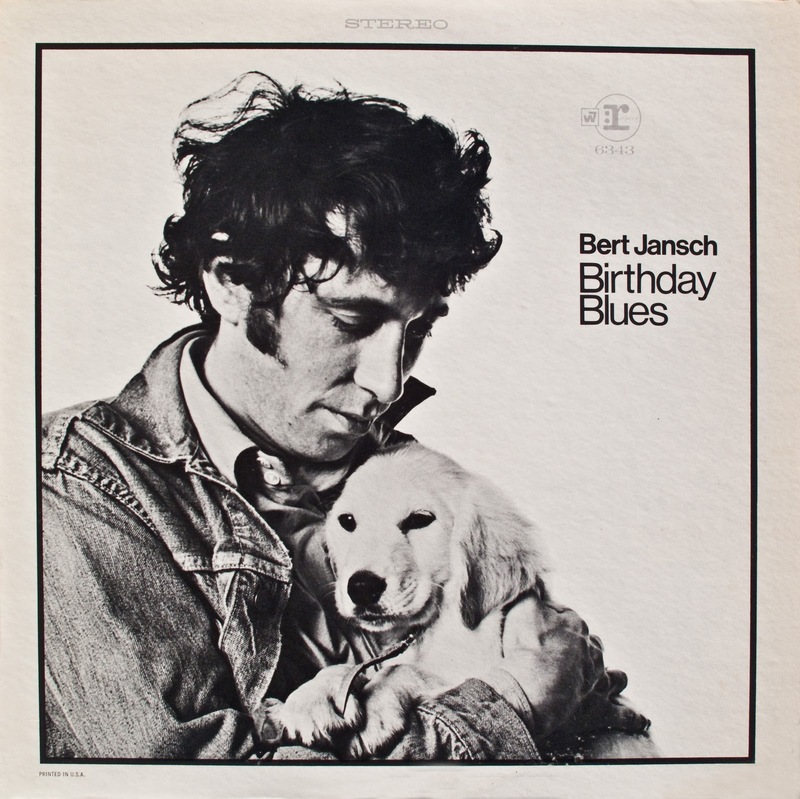 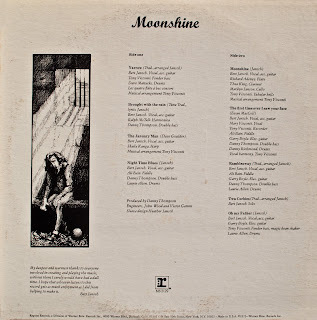 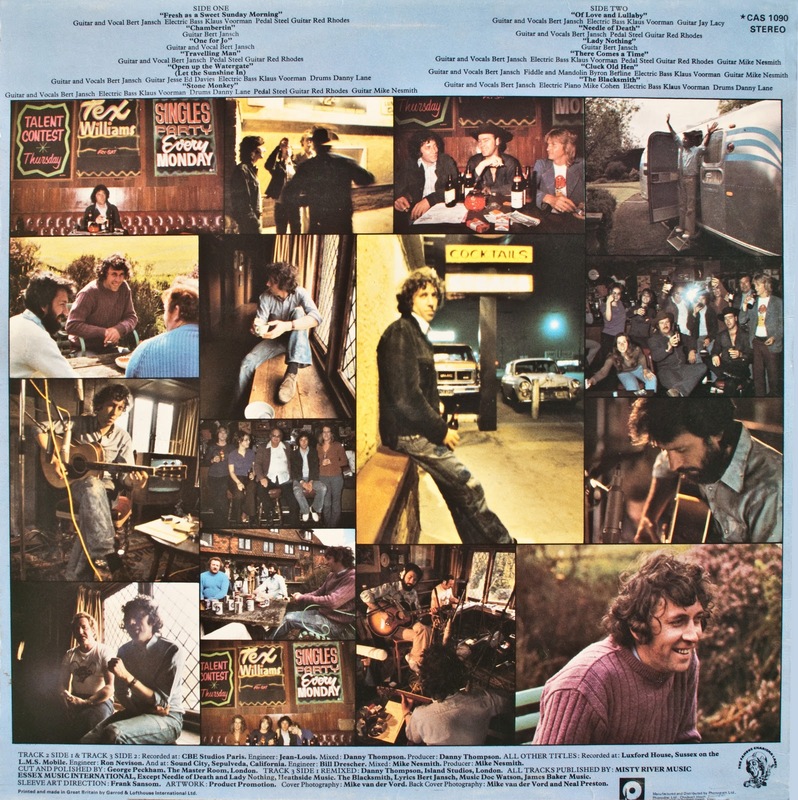 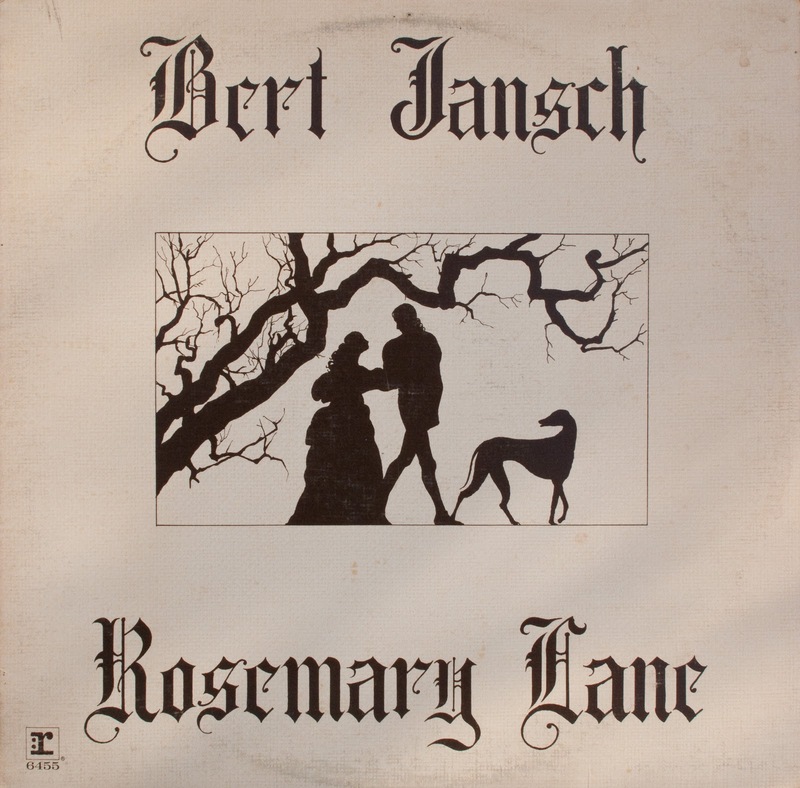 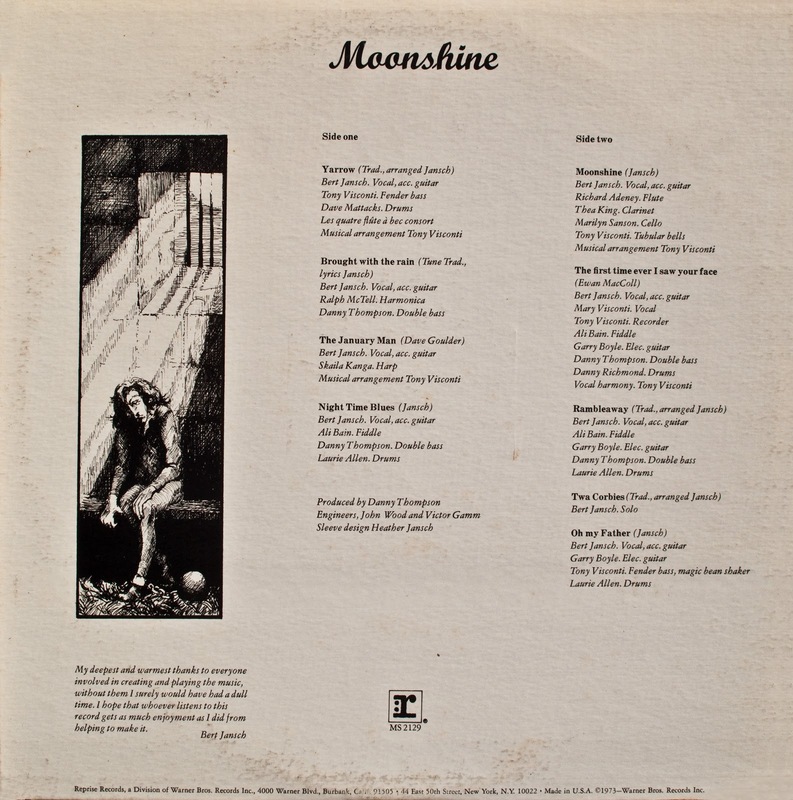 During the same period, Bert Jansch released four more albums on his own: Nicola (1967), Birthday Blues (1969), Rosemary Lane (1971), and Moonshine (1973). 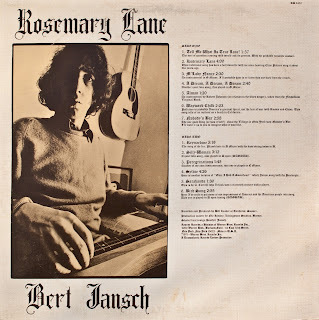 When The Pentangle broke up at the beginning of 1973, Bert Jansch moved to a farm in Wales, seeking relief from the stress of constantly being on tour. 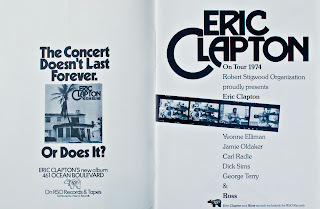 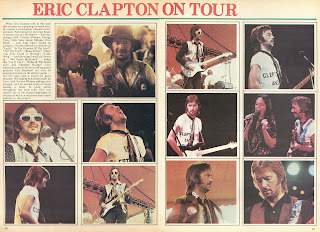 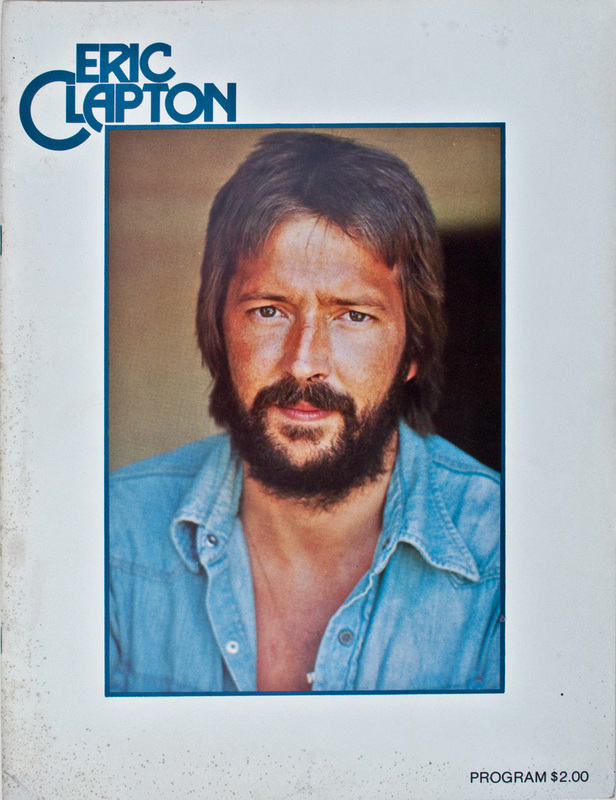 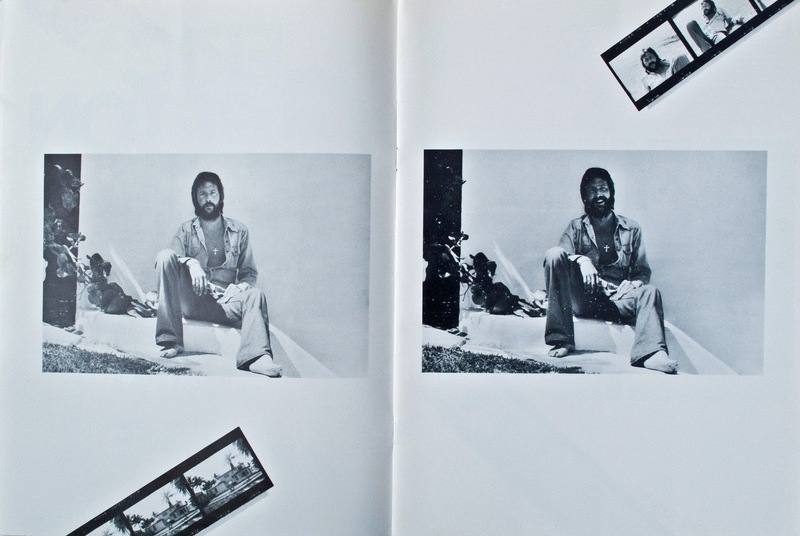 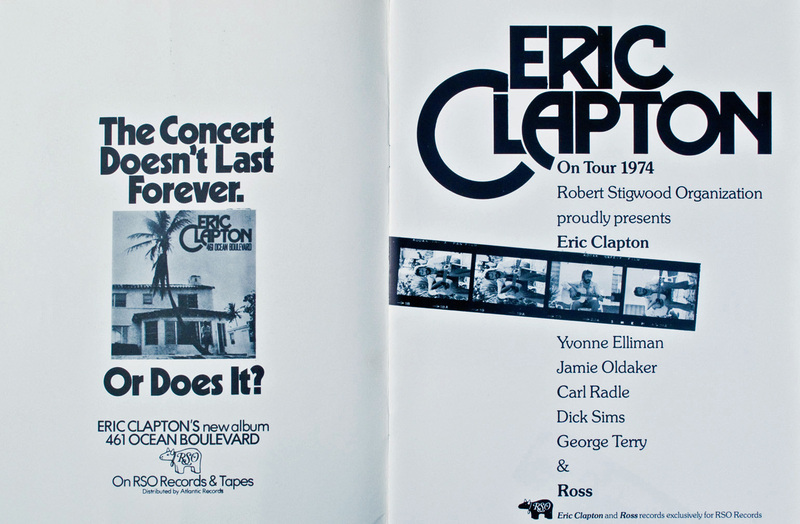 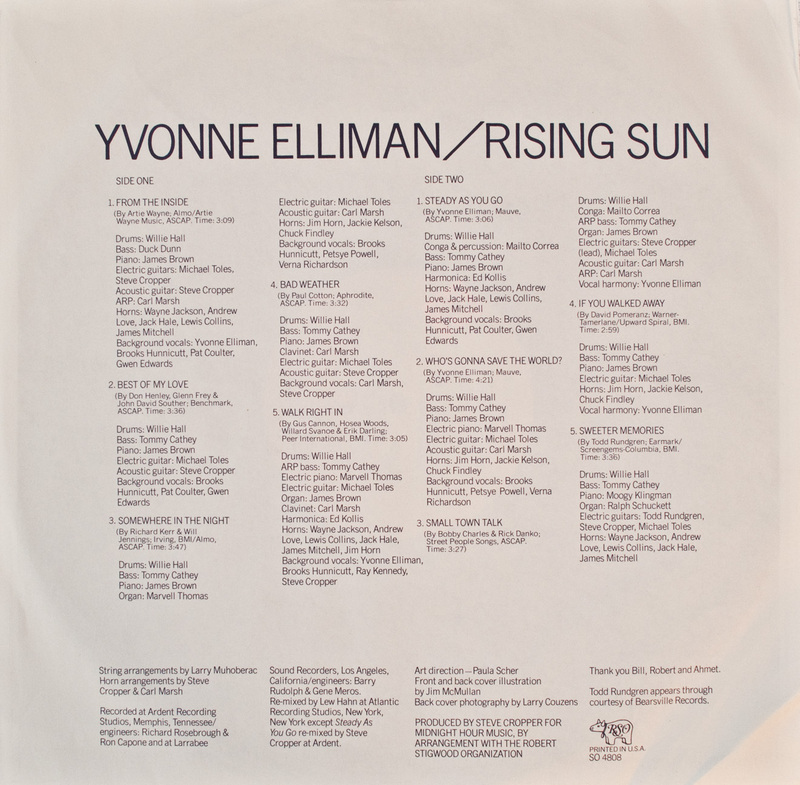 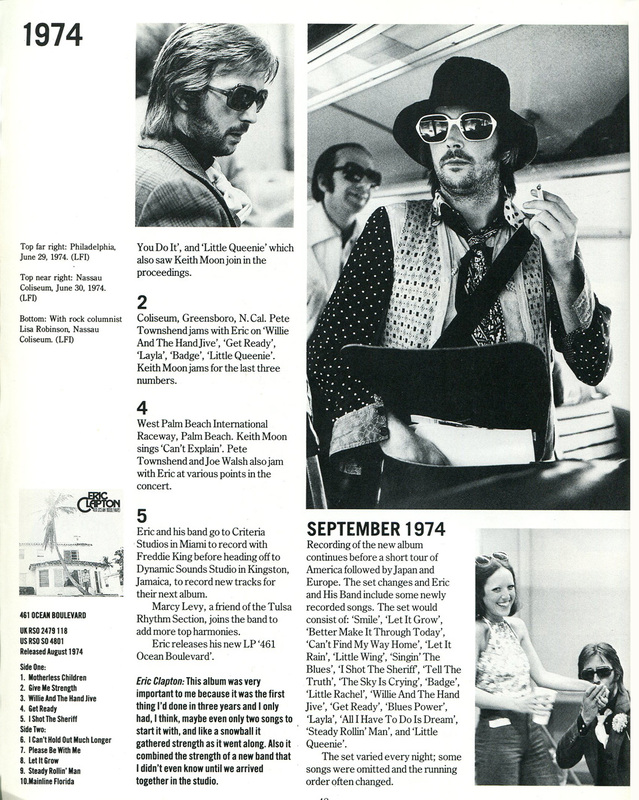 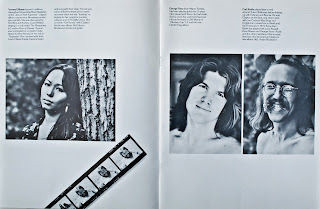 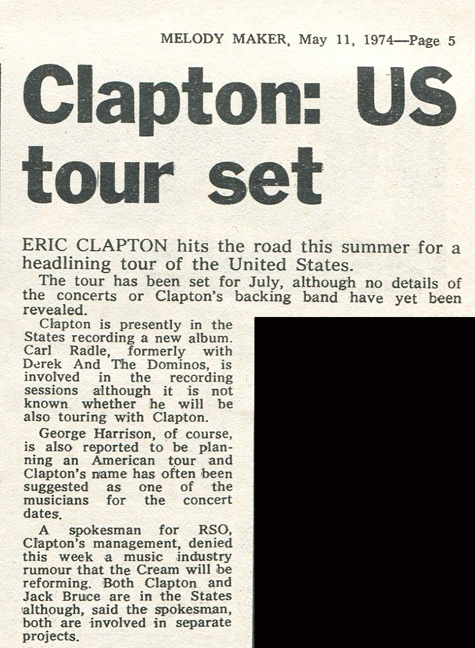 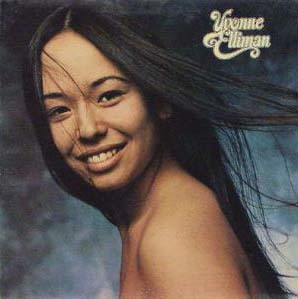 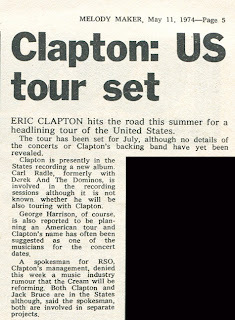 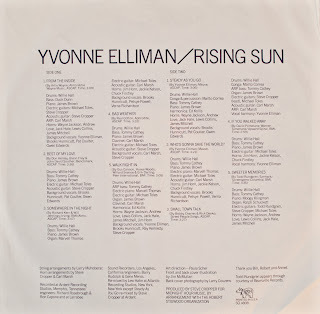 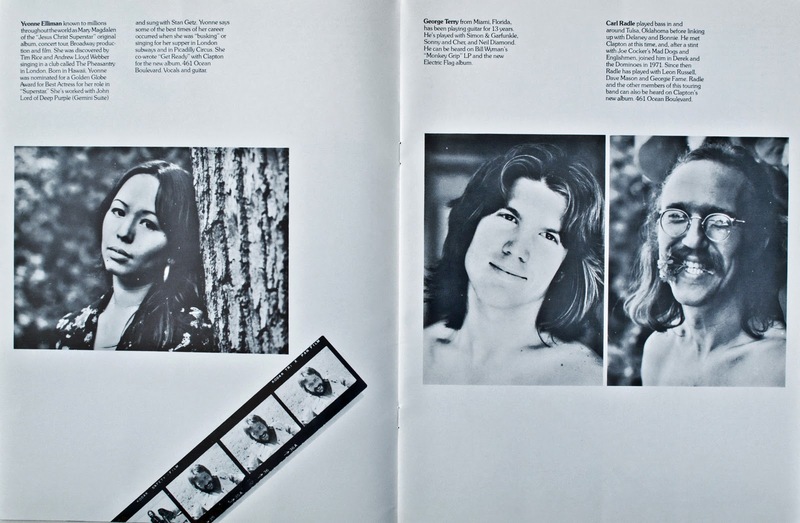 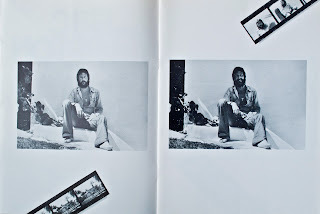 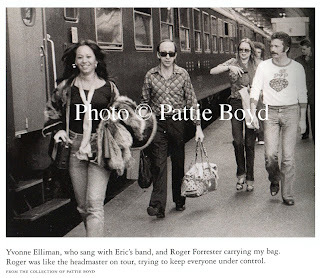 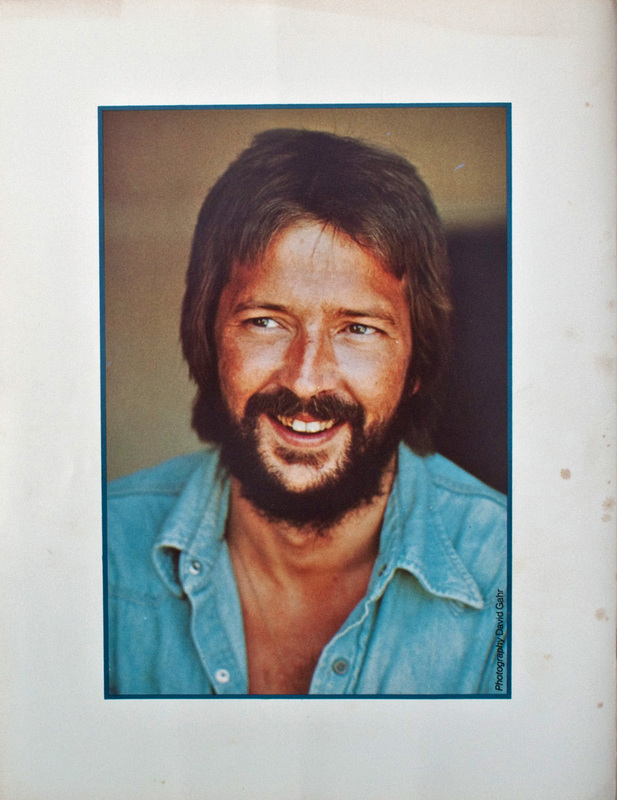 He continued to record on his own, releasing L.A. Turnaround in 1974 and Santa Barbara Honeymoon in 1975. 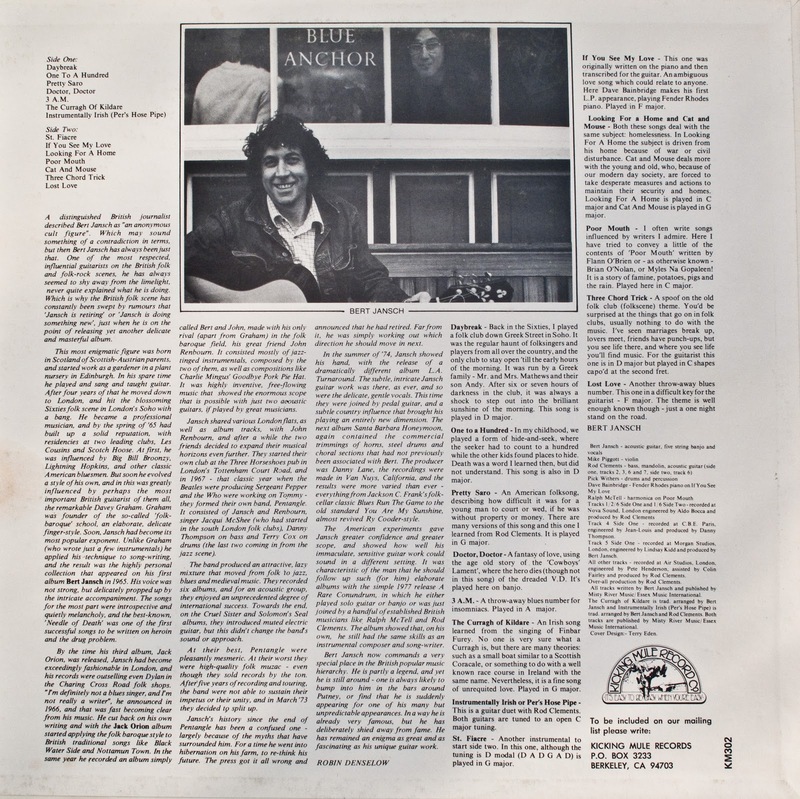 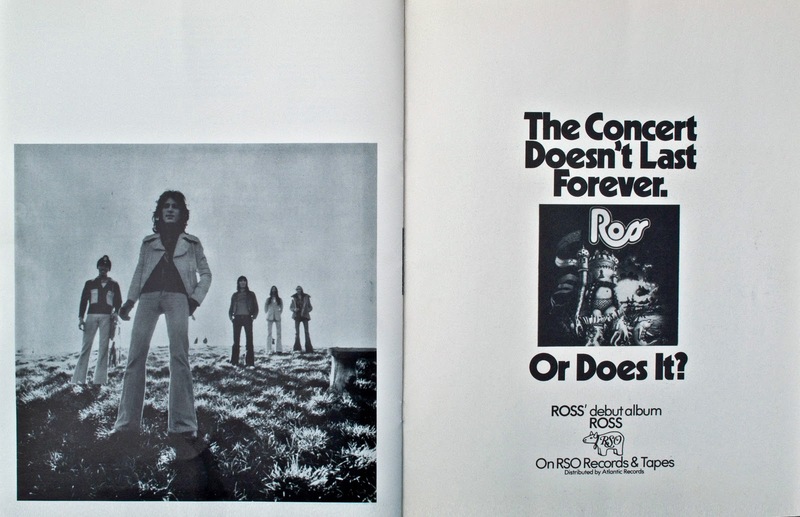 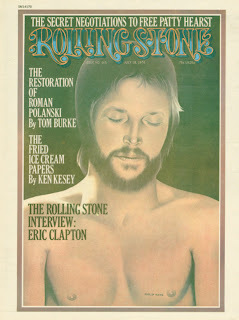 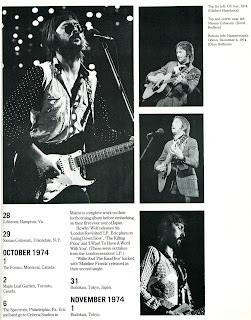 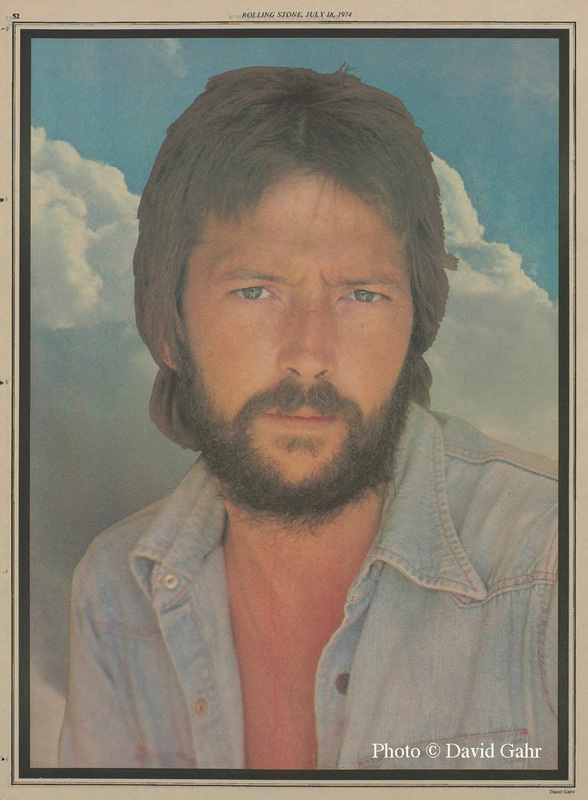 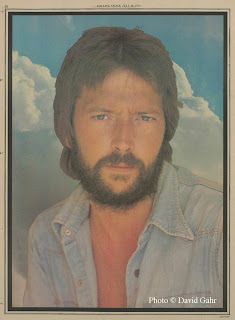 Both albums offered a venturesome departure from his earlier approach, and featured a hardy sound that leaned toward country rock. 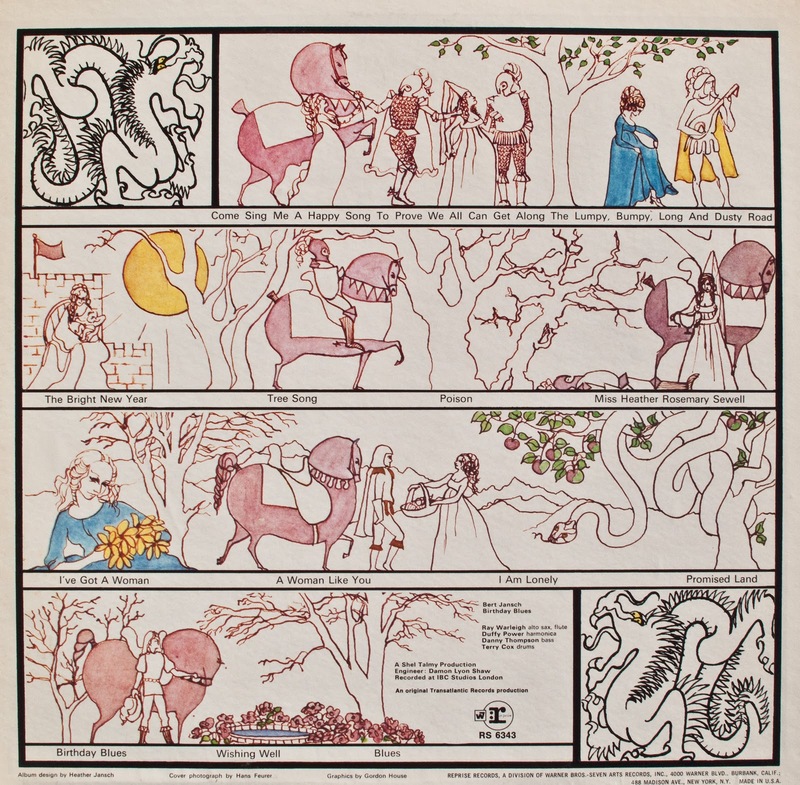 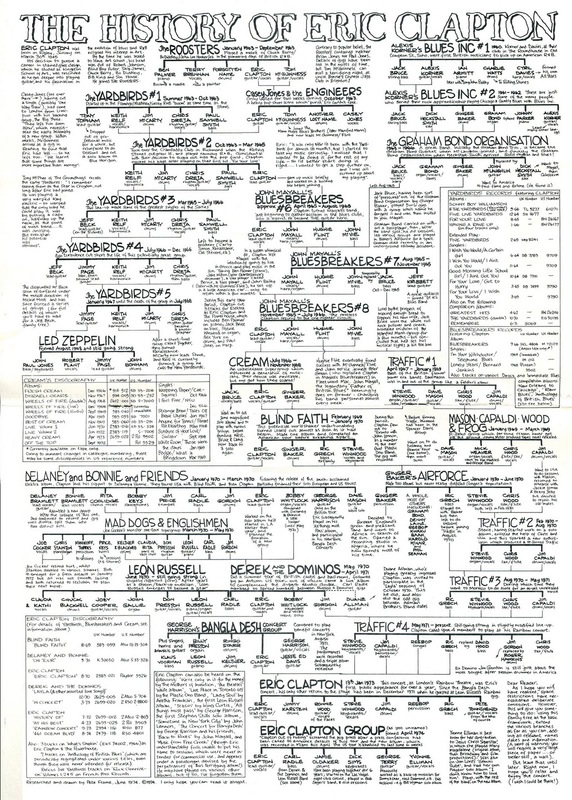 In 1982, the five members of The Pentangle joined together again for a performance at the Cambridge Folk Festival in Cherry Hinton, England, and then undertook a tour of Europe. 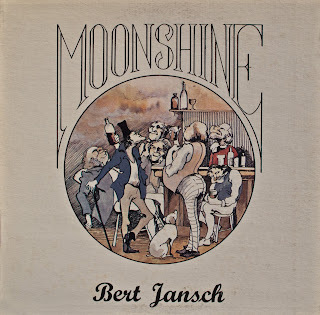 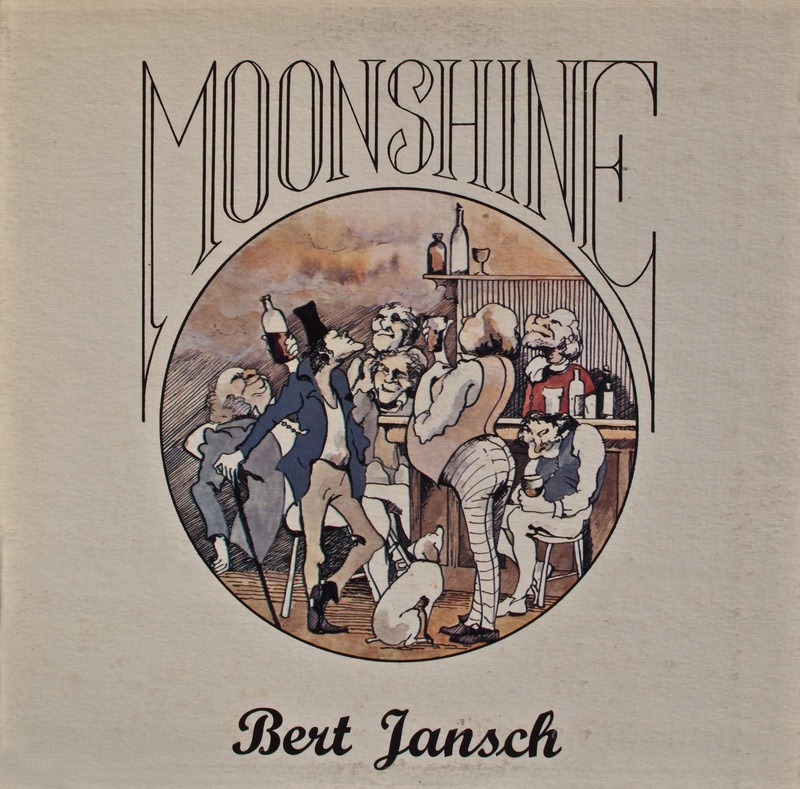 When John Renbourn and other members later quit the band, Bert Jansch and Jacqui McShee persevered with The Pentangle, but in the late 1980s, Bert Jansch began to experience harmful effects from his many years of heavy drinking. As a result, he chose to stop his heedless intake of alcohol. 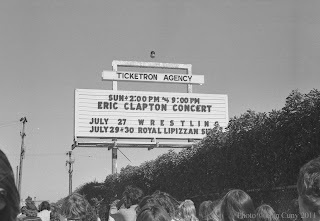 In his later years, even as his health continued to falter, he maintained a busy schedule, performing and recording to the best of his considerable abilities. 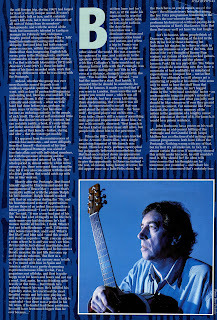 His final album, The Black Swan, was released in 2006. 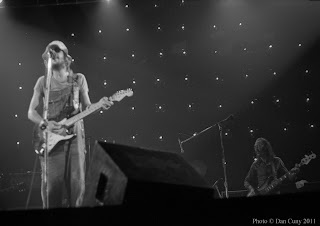 He toured America with Neil Young in 2010, and performed with The Pentangle in England during the summer of 2011. 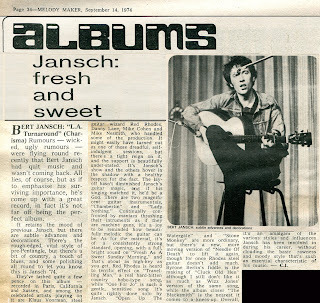 To the end of his life, Bert Jansch remained a musician of unquestioned devotion and understated stature: a humble alchemist of the guitar, steadfastly creating tunes of lasting magic. 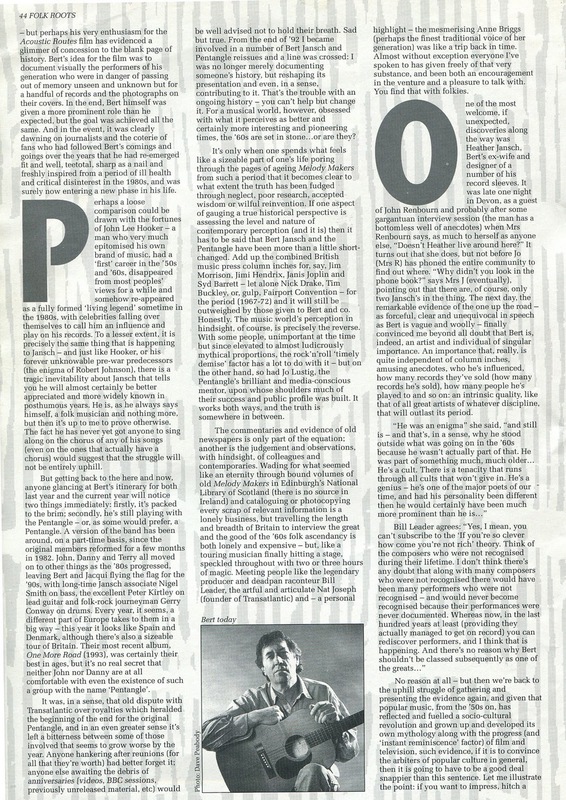 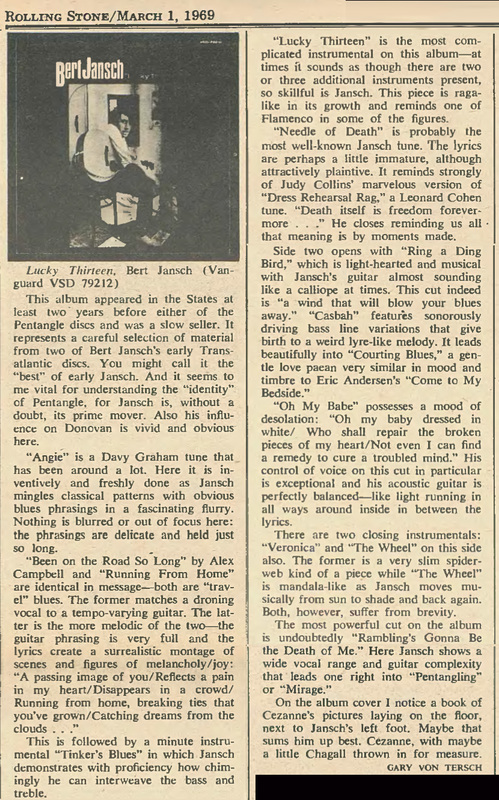 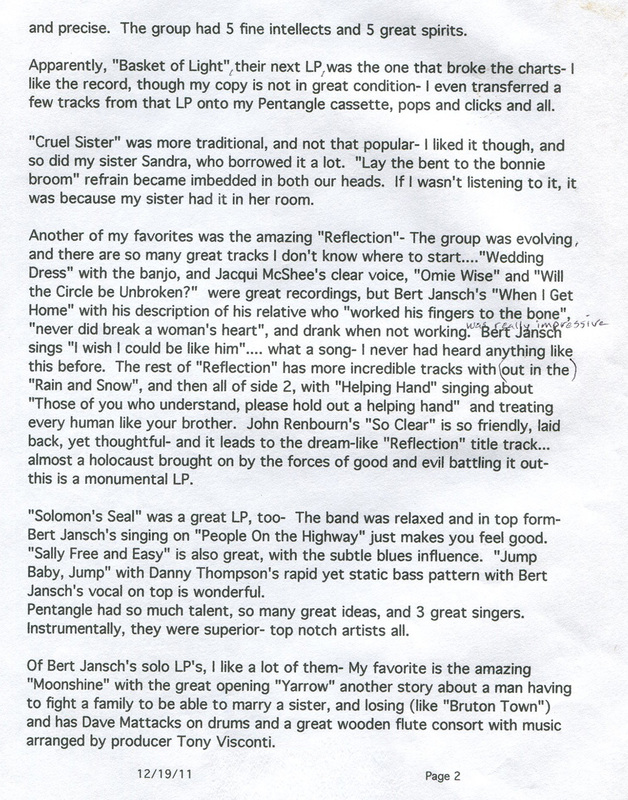 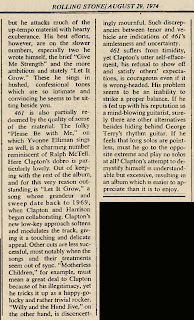 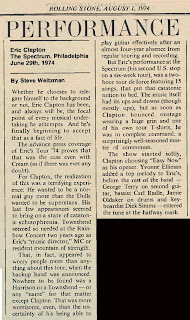 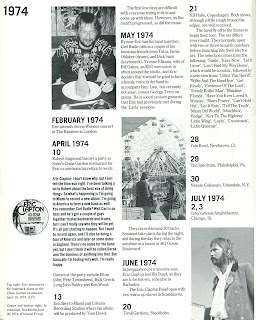 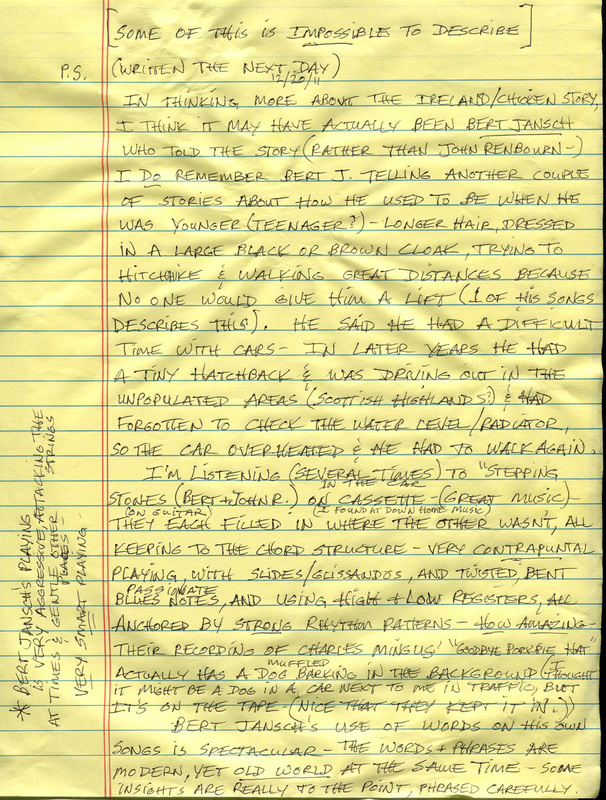 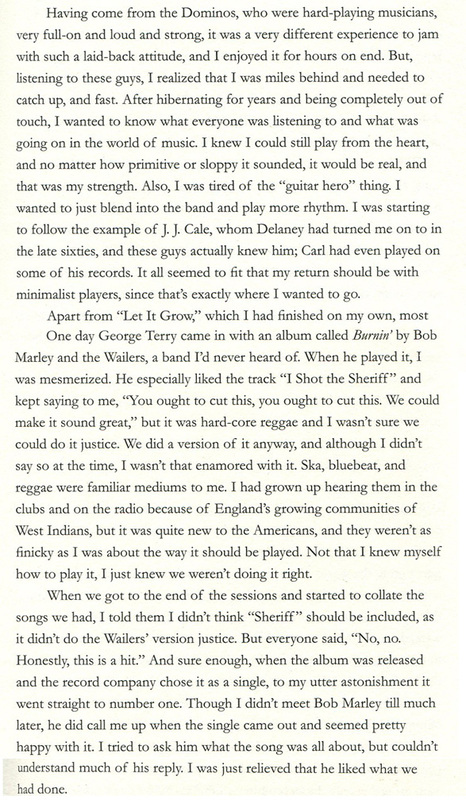 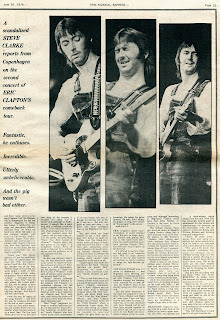 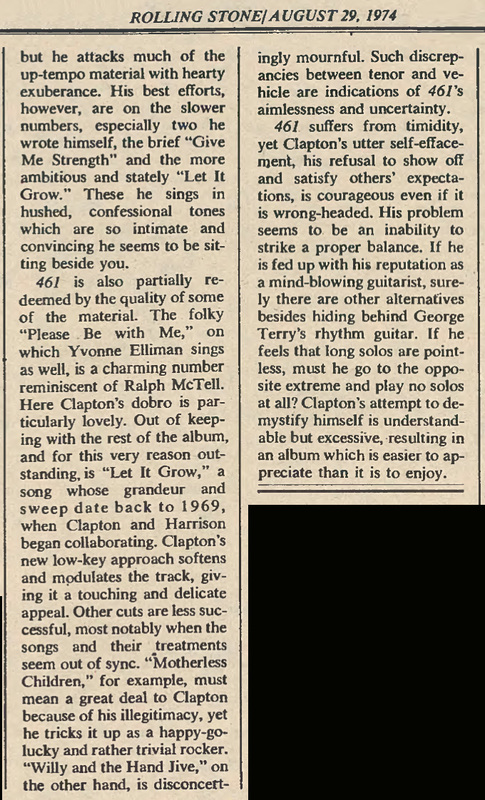 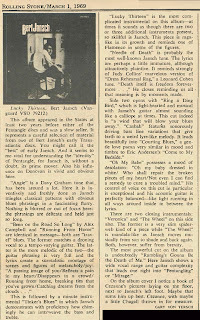 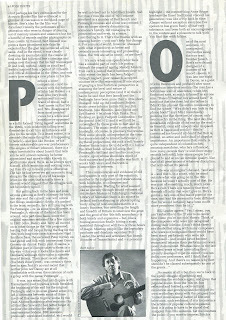 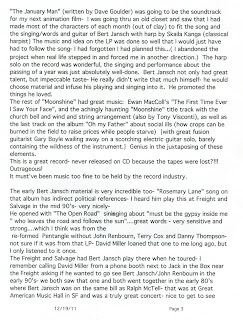 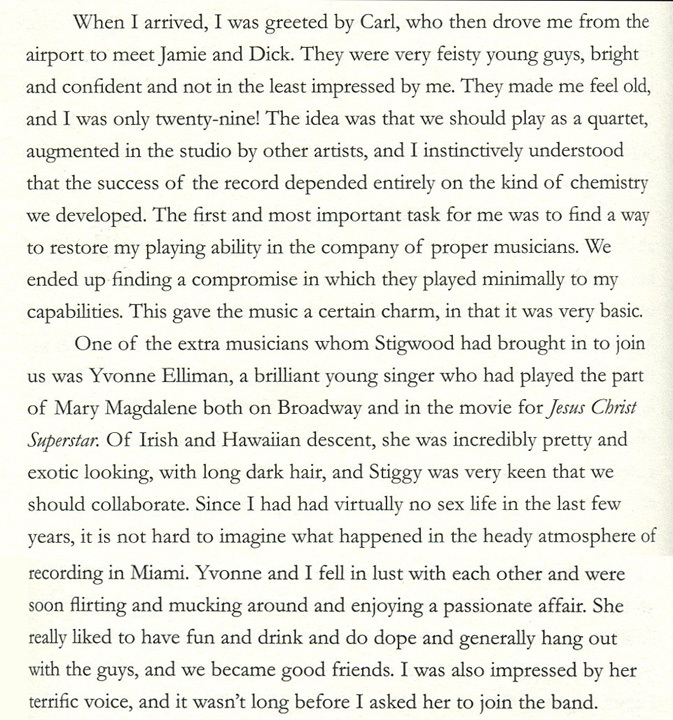 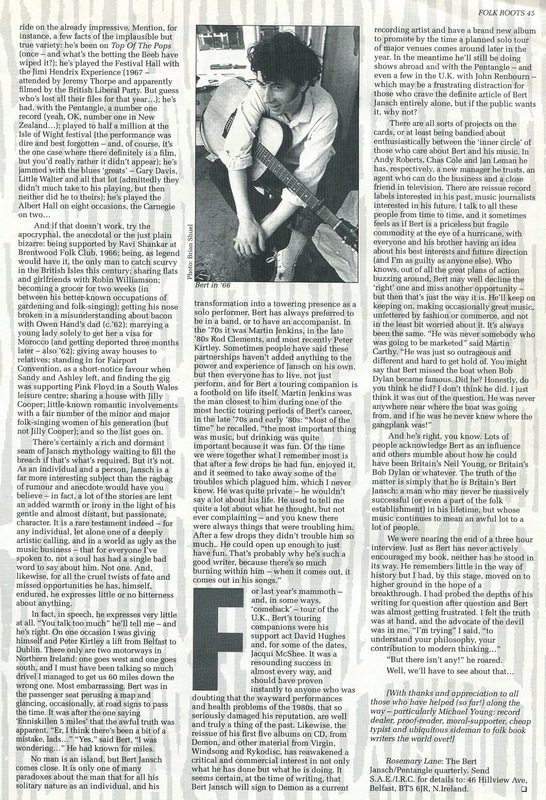 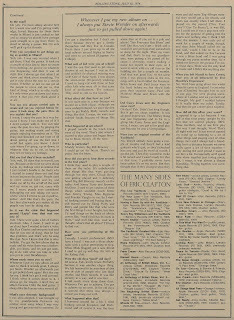 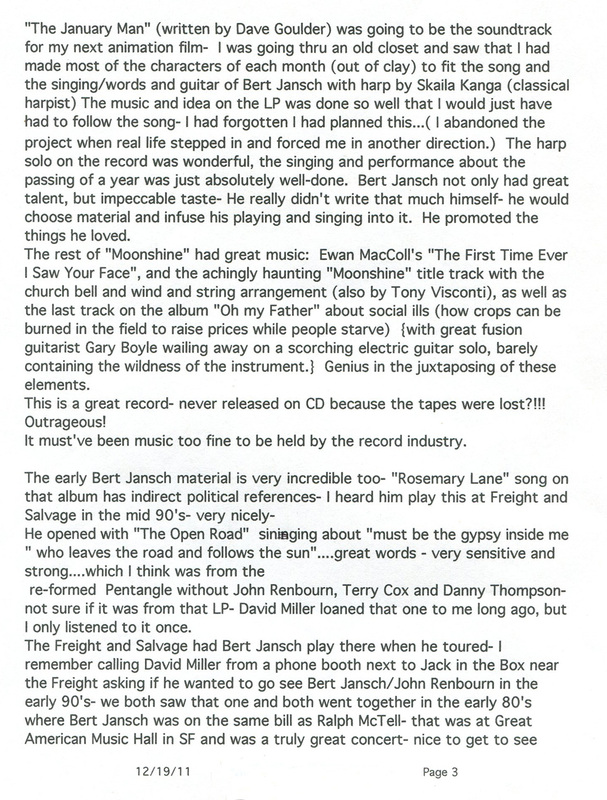 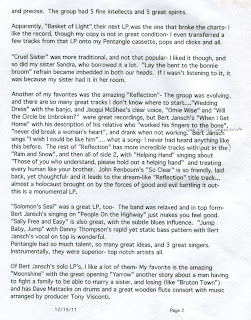 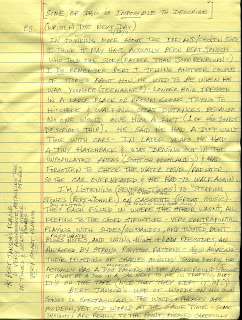 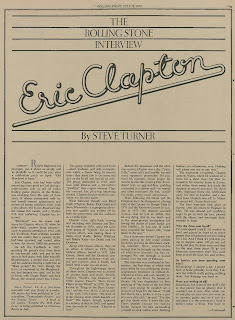 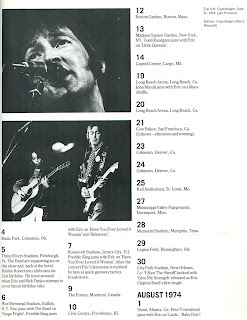 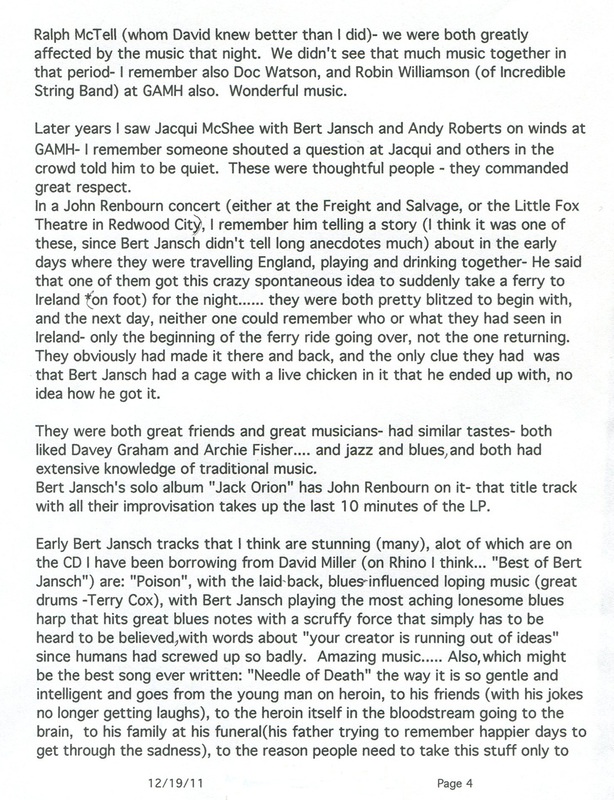 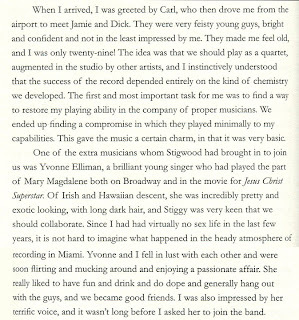 A review of "L.A. Turnaround"
An article from Folk Roots, March 1994. 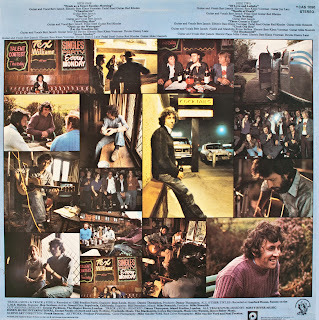 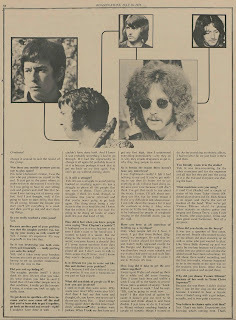 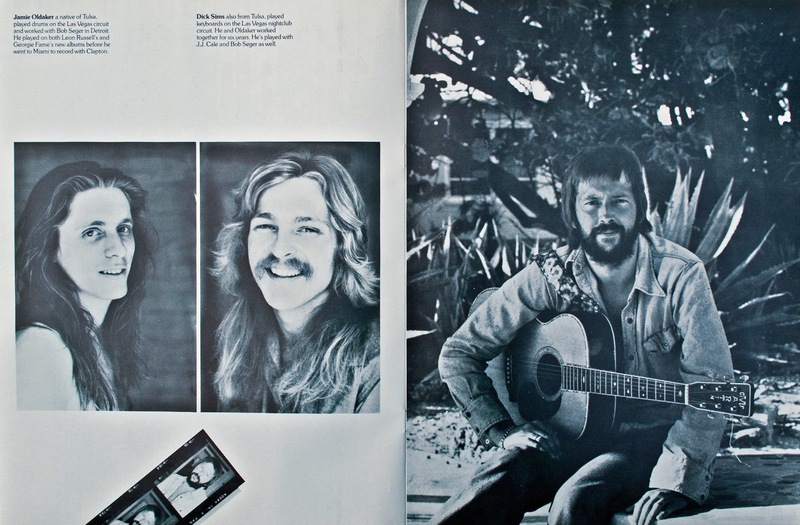 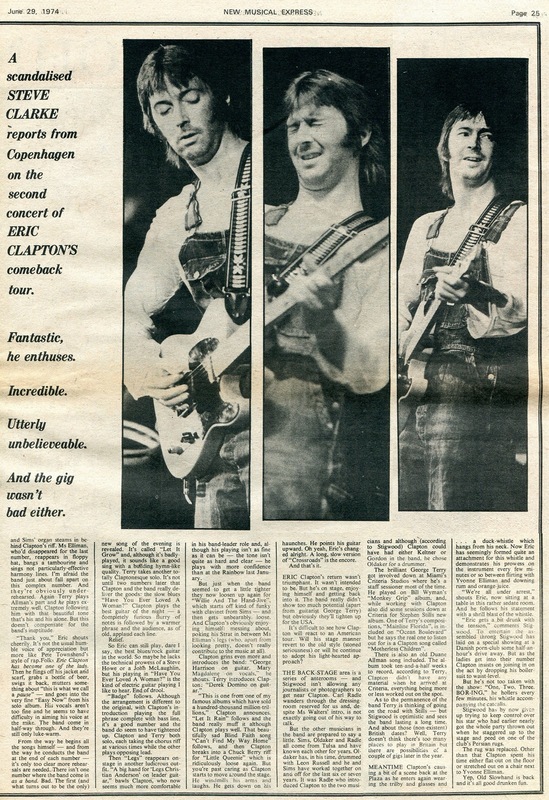 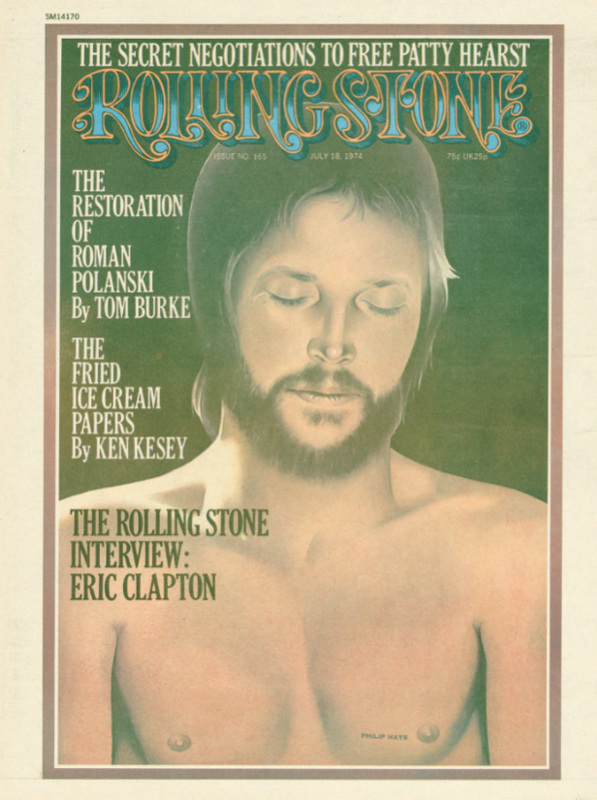 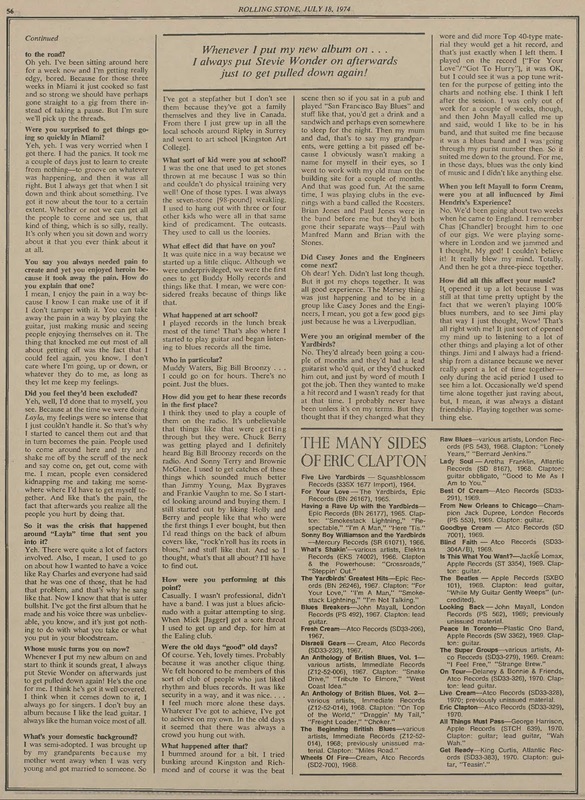 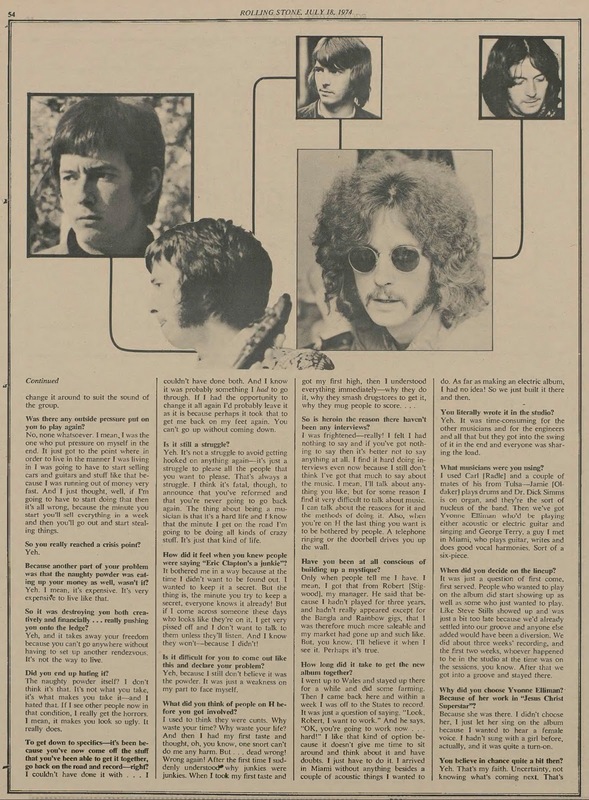 It includes a short interview with John Renbourn. 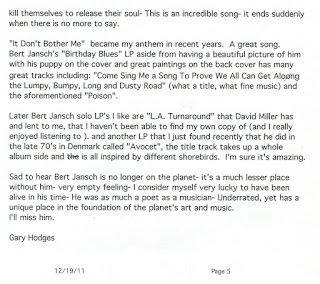 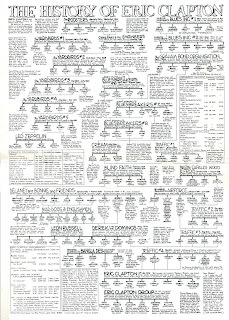 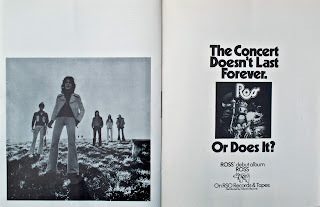 Below is a an article by my friend, Gary Hodges. 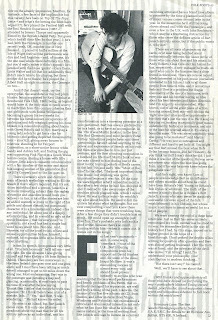 My thanks for his heartfelt efforts. 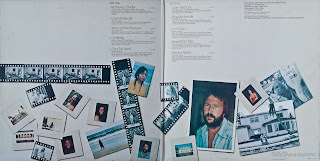 Below are albums in my collection.